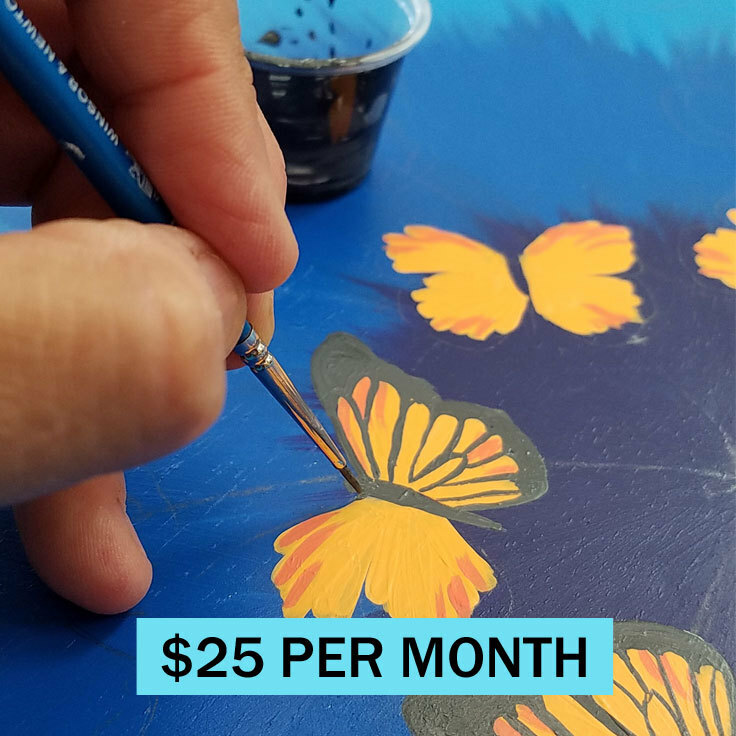 Lisa Frick is creating hand painted furniture, garden art, paintings and more! As long as I can remember, I've always wanted to be an artist. There was never any question. Of course, I've tried other paths in my life, but now that I'm creating art full time I can't imagine any other path. I'm so excited that you've found my Patreon page and are interested in joining my colorful world. Perhaps you've seen the pictures of finished pieces I've done and wondered what my process was as I worked. As my patron you'll get to see exclusive "Work in Progress" photographs of the various pieces I am creating- images and commentary that I won't be posting any where else. 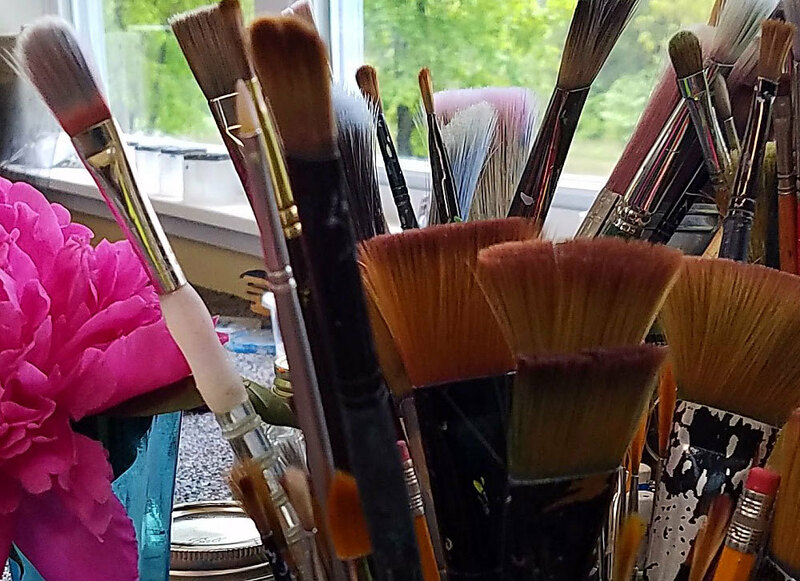 You'll have your own window into my studio! Art has been a huge part of my life and I hope that I can inspire, help and share my experience through Patreon. This reward will give you a "behind the scenes" look into what's going on in my studio. I'll post "Work in Progress" pics of any piece or pieces I may be working on. You'll be the first to see what I'm creating! The posts that you can see on my page of the Butterfly Lazy Susan are similar to what I will be posting. You will get to see the progression of my work as I work. Have a suggestion on something you'd like to see me create? You can make suggestions here! Access to my blog on the process I use for my painted furniture from the initial prep work to the final clear coat. This will include the names of the products and the techniques that I use. You will also be able to ask me questions that you may have via email. In future blogs I will go into more detail on specific techniques. You will receive a gift box that will include my choice of one or more of my smaller pieces with a total value of at least $50. 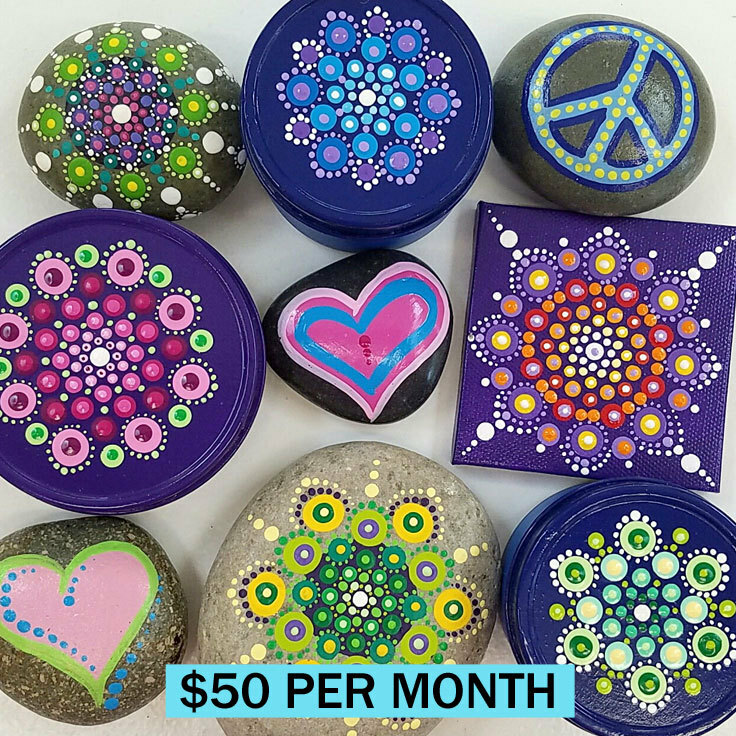 These may be from my selection of mini mandala paintings, painted rocks, mandala 'stash' tins or any of the other small non-furniture pieces I paint (Similar to, but different to the ones in the picture). 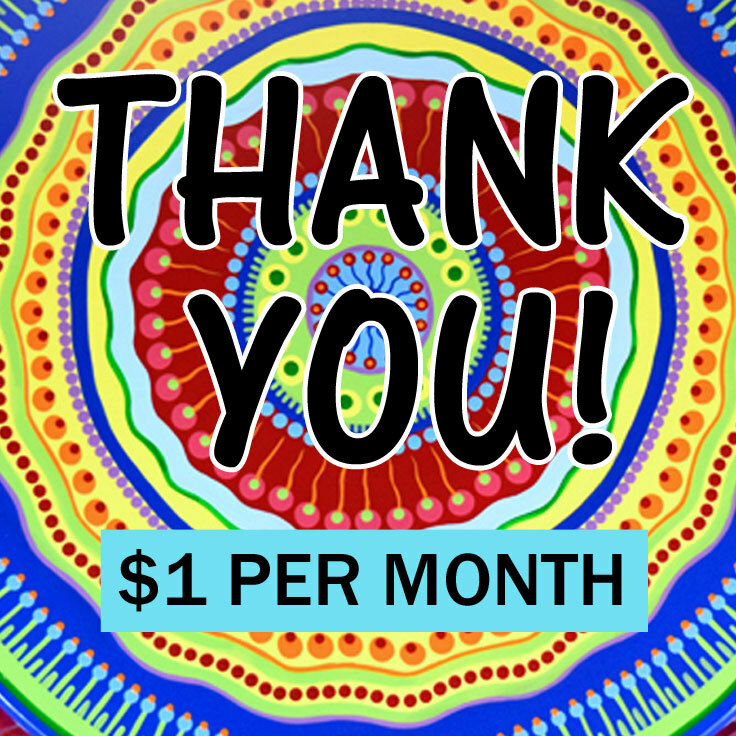 You may adjust your pledge after one month and I'll still be grateful for your contribution! Special requests are welcome.